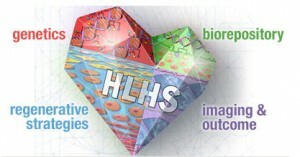 From Mayo Clinic’s HLHS News and Views Blog. A recent article in the Wall Street Journal discusses the therapeutic potential of umbilical cord blood stem cells, including the current clinical trial being conducted at Mayo Clinic using cord blood for Hypoplastic Left Heart Syndrome. The journal interviewed Tim Nelson, M.D., Ph.D, director of the Todd and Karen Wanek Family Program for Hypoplastic Left Heart Syndrome. "Umbilical cord blood is the most common type of stem cells available and is commonly discarded," says Dr. Nelson. "It is important to systematically work with regulatory agencies to validate any new application. We hope that our focused efforts will indeed lead to new applications for children with congenital heart disease."